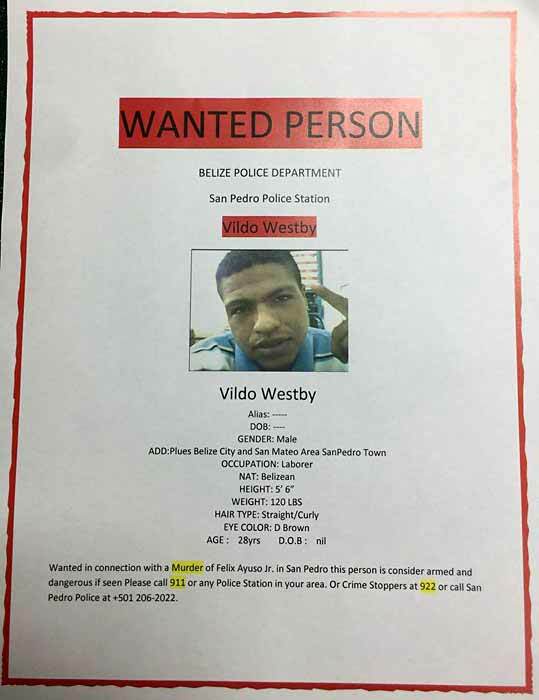 Belize Police has released an all points bulletin for information leading to the capture of Vildo Westby who is wanted for the murder of San Pedro, Ambergris Caye resident and popular activist Felix Ayuso Jr. which occurred February 2017 on that island. Westby is considered armed and dangerous. Credible sources have reported sightings of Vildo Westby across the Mexico border in Chetumal in and area known as Botes. He has also been seen walking into Sam's Club, a popular shopping center that is frequented daily by many Belizeans. 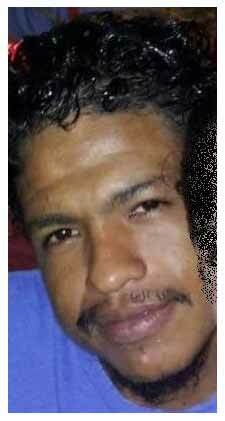 It is believed that he may be residing with family members in Allende and Juan Sarabia just outside Chetumal in the Ucum subdivision. In Corozal, please call the Police Department at 402-0022 or 911 for any information leading to the arrest of this man.